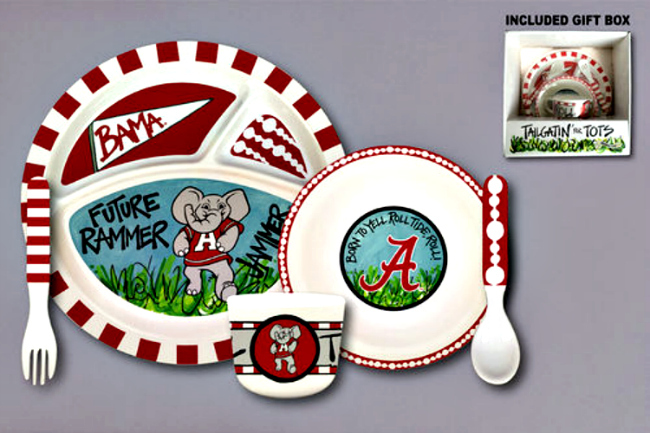 Alabama Crimson Tide Tailgatin' for Tots 5 piece Melamine Dinnerware Set by Magnolia Lane. Includes divided plate, bowl, cup, fork & spoon. Your child will love being included as a Rammer!